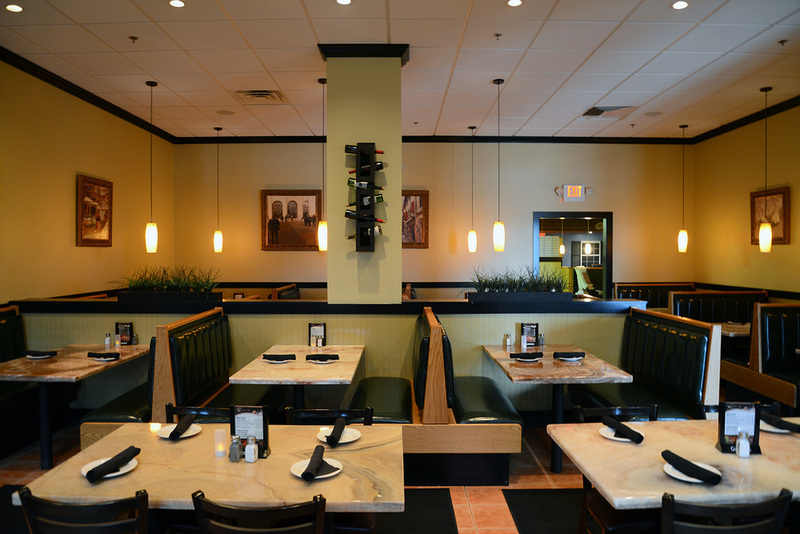 Located at the Tanger Outlets, Fiore is a family owned restaurant offering fine Italian dining at affordable prices. Fiore of Westbrook is located at the entrance of the Tanger Outlets in Westbrook, Connecticut. Fiore is an Italian restaurant & pizzeria that serves a variety of traditional southern Italian dishes and New York style pizza. At Fiore's every meal is cooked using the freshest ingredients & in-house prepared sauces. 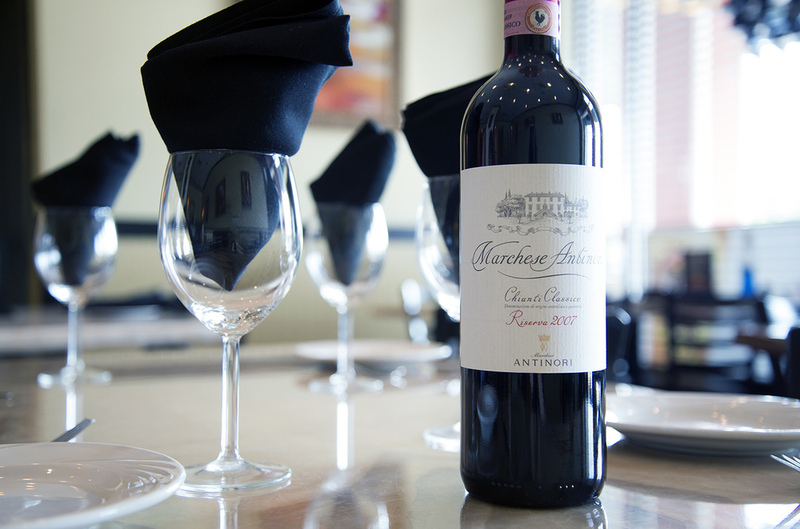 Wether you need a break from shopping the outlets or looking for a family dinner Fiore offers everything to make it a memorable experience. Sweet chunks of lobster in a creamy stock. Fresh beans and pasta in a savory broth. Mixed greens, cherry tomatoes, cucumbers & calamata olives. Romaine lettuce, croûtons and parmesan cheese. Ham, Genoa salami, pepperoni, mozzarella cheese over mixed greens. Served with bleu cheese & celeries. Fried mozzarella cheese topped, with marinara sauce. 4 Jumbo shrimp served with cocktail sauce. Fresh clams sautéed with garlic, basil and marinara sauce. Fresh calamari sautéed and served with marinara sauce on the side. Fresh mussels sautéed with garlic, basil and marinara sauce. Pasta layered with meat, cheese and marinara sauce baked to perfection. Breast of chicken dipped in egg batter in a lemon white wine sauce. Sautéed chicken, cheese tortellini, broccoli and roasted peppers in a creamy pesto sauce. Shrimp mushrooms, sun-dried tomatoes in a pink vodka cream sauce. Medallions of veal, dipped in egg batter and sautéed in a lemon - butter, white wine sauce, served with broccoli. Shrimp, scallops and calamari with a spicy fra diavolo sauce over linguine. Served with home style rolls, dinner salad, and a side of pasta. Breaded chicken cutlet, fresh marinara sauce, mozzarella and romano cheese. Breast of chicken topped with spinach, fresh tomatoes, sun-dried tomatoes & mozzarella cheese in a vodka pink sauce. Breast of chicken topped with lobster meat, spinach, fresh tomatoes, sun-dried tomatoes and mozzarella cheese in a vodka pink sauce. Breast of chicken sautéed with capers, pignoli nuts and broccoli in a lemon white wine sauce. Chicken breast, mushrooms, peppers, onions, capers and fresh garlic in a fresh marinara sauce. Breast of chicken sautéed with fresh mushrooms and marsala wine. Breast of chicken topped with shrimp, asparagus, eggplant, sharp provolone cheese in a vodka pink sauce. Breaded veal cutlet, fresh marinara sauce with mozzarella and Romano cheese. Medallions of veal topped with spinach, fresh tomatoes sun-dried tomatoes and mozzarella cheese in a vodka pink sauce. Medallions of veal topped with lobster meat, spinach, fresh tomatoes, sun-dried tomatoes and mozzarella cheese in a vodka pink sauce. Tender veal topped with shrimp, asparagus, eggplant, sharp provolone cheese in a vodka pink sauce. Medallions of veal sautéed with capers, pignoli nuts and broccoli in a lemon white wine sauce. Medallions of veal, mushrooms, peppers, capers, onions and fresh garlic in a fresh marinara sauce. Medallions of veal with mushrooms, in a marsala wine sauce. Served with home style rolls and dinner salad. Calamari sautéed in a spicy marinara over linguine. Shrimp sautéed in a spicy marinara sauce served over linguine. Butterflied shrimp, capers and garlic in a white wine sauce, sautéed and served over linguine. Shrimp & Scallops sautéed with fresh garlic, fresh tomatoes, and sun-dried tomatoes in a marinara sauce over penne. Sautéed with basil, garlic and marinara sauce, served over linguine. Angel hair pasta with sun-dried tomatoes, mushrooms scallop, shrimp and lobster meat in a vodka pink sauce. Lobster ravioli with fresh tomatoes, sun-dried tomatoes, mushrooms, fresh spinach in a pink vodka cream sauce. Assorted seafood, shrimp, scallops, calamari, mussels and clams in your choice of red or white sauce, served over linguine. Sautéed with basil & garlic and marinara sauce, served over linguine. Eggplant filled with fresh tomatoes & spinach, topped mozzarella and a vodka pink sauce. Rolled eggplant filled with ricotta, mozzarella cheese and spinach in a marinara sauce. Eggplant over marinara sauce topped with mozzarella cheese. Penne sautéed with fresh tomatoes and a touch of pesto. Penne, vodka pink sauce, and chicken. Penne in a light red sauce with crushed anchovies, mushrooms, garlic, onions & capers. Penne, al fredo sauce, and broccoli. 2 Homemade meatballs over linguine pasta with marinara sauce. Cheese ravioli topped with marinara sauce, pecorino romano and mozzarella cheese. Fresh pasta “tubes” with seasoned ricotta in a marinara sauce with mozzarella cheese. Fresh pasta “tubes” with seasoned ricotta & spinach in a marinara sauce with mozzarella cheese. Medium - 12" / Extra Large - 18"
tems: Peppers, Onions, Mushrooms, Meatballs, Sausage, Pepperoni, Bacon, Chicken, Anchovies, Fresh Tomatoes, Eggplant, Olives, Ham, Extra cheese. Mushrooms, peppers, onions, pepperoni, sausage, and meatballs. Fresh tomatoes, chicken breast, Parmesan, and mozzarella cheese. Baby spinach, ricotta cheese, and mozzarella cheese. White with clams, bacon, garlic and herbs. Clams, garlic, herbs and our own red or white sauce. White pizza with fresh broccoli and tomatoes. Bualo sauce, chicken & mozzarella cheese. Served hot with marinara sauce & mozzarella cheese. Served cold with lettuce, tomato & provolone cheese. Genoa Salami & Ham. Served cold with lettuce, tomato & provolone cheese. Call (860) 399–7700 from 11a – 8p daily.